This event takes place in Dartmouth Totnes and Kingsbridge in mid-October each year. Children from the local Primary School’s top classes spend a day in the Leisure Centres and attend a series of presentations by groups such as the Fire brigade, the Police, Western Power, Road Safety and ourselves. 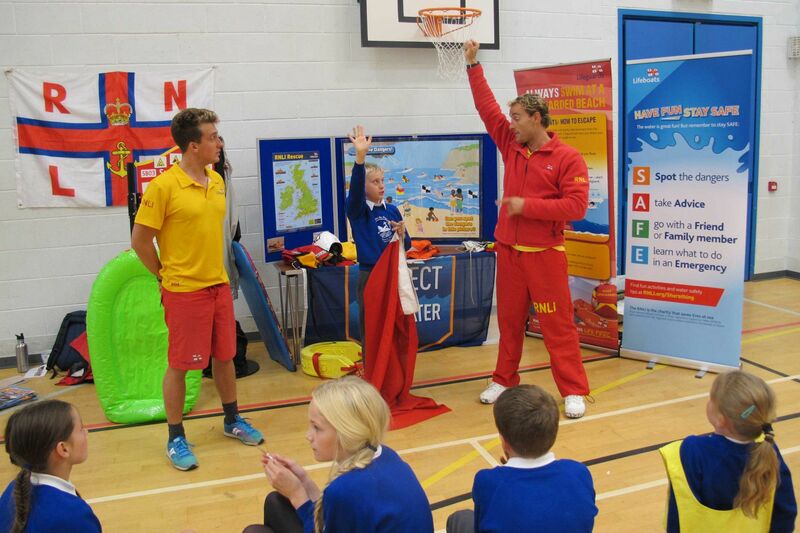 The Junior Life-skills event has always been a good forum to show teachers from the surrounding areas what the RNLI can bring to their schools. I am delighted to say that as a result of this I have been asked to talk to each of the Key Stages at Dartington Primary when the new school opens next Easter.